Heaven is a little closer when you live in the mountains!! Spectacular views!! Beautiful sunrises and views of Amicalola State Lodge!! 4 bedroom,3 1/2 baths,home boast spacious kit. w/custom cabinetry, sold surface counters and views into great room. Great rooms has warm,stacked stone F.P. 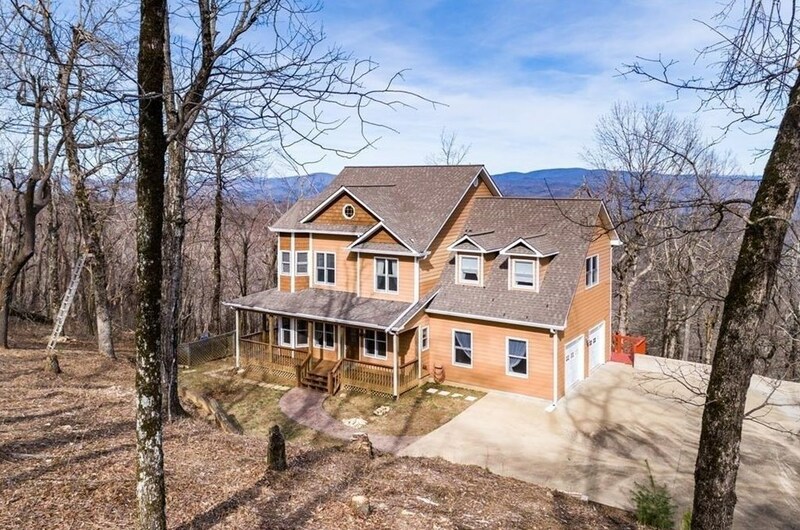 hardwood flooring and overlooks the mtns. Master w/F.P.,deck,Terrace level has bonus/rec. room w/full bath.Multi decks lends to abundance of outdoor living. Attached 2 car garage,kit.level. Private and no home owners association!! Driving Directions: Downtown Jasper go Burnt Mountain Road, appx. 10 miles to right onto Monument Road, Home on left, sign in place. 2159 Monument Road, Jasper, GA 30143 (MLS# 6506311) is a Single Family property with 4 bedrooms, 3 full bathrooms and 1 partial bathroom. 2159 Monument Road is currently listed for $389,900 and was received on February 26, 2019. Want to learn more about 2159 Monument Road? Do you have questions about finding other Single Family real estate for sale in Jasper? You can browse all Jasper real estate or contact a Coldwell Banker agent to request more information.